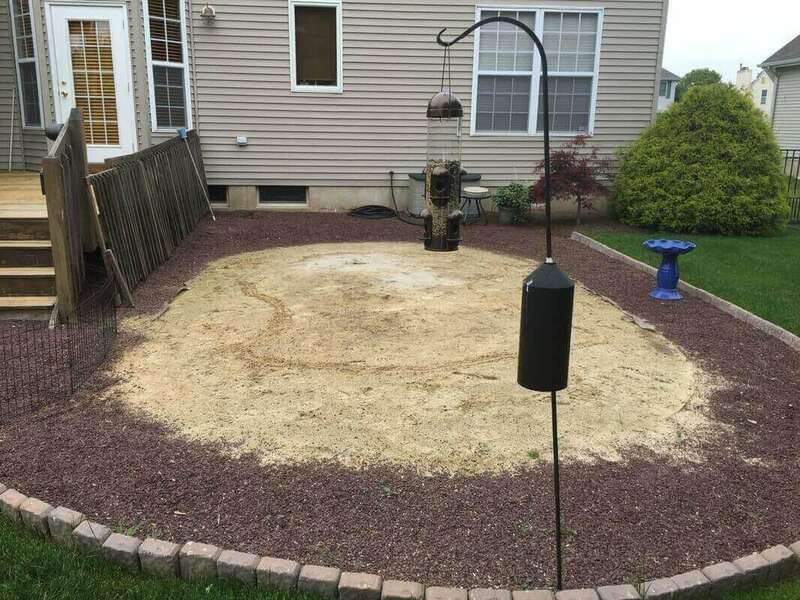 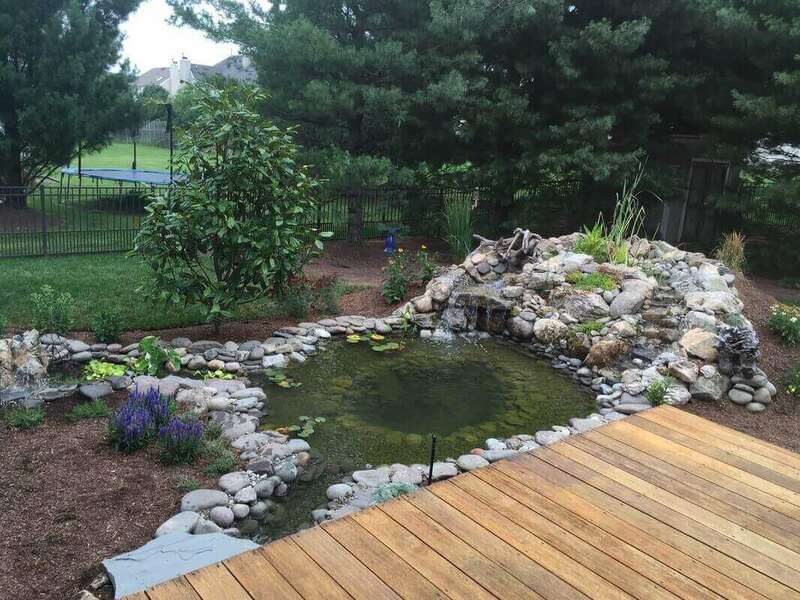 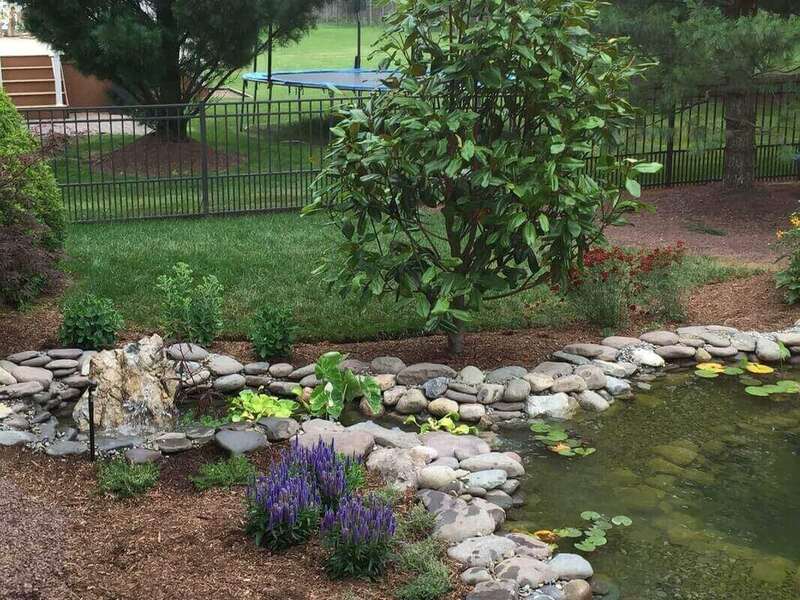 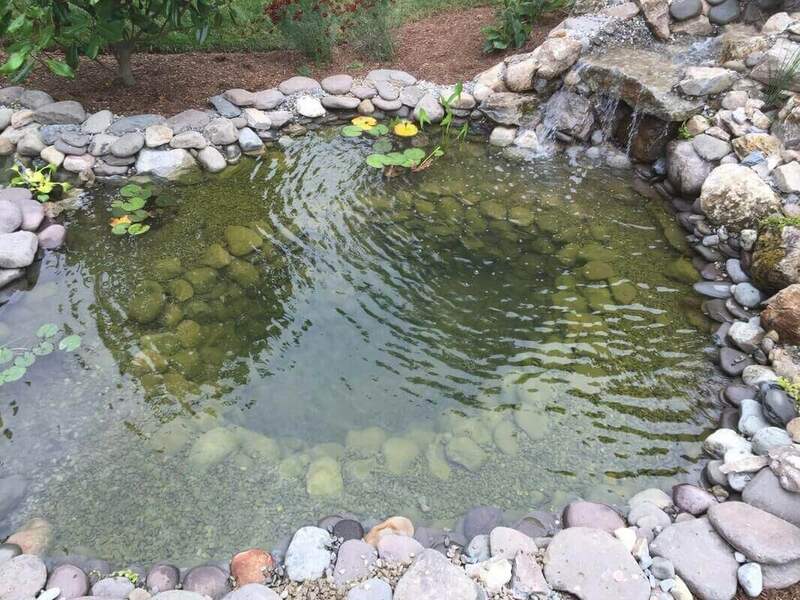 A standard pond with some non-standard features. 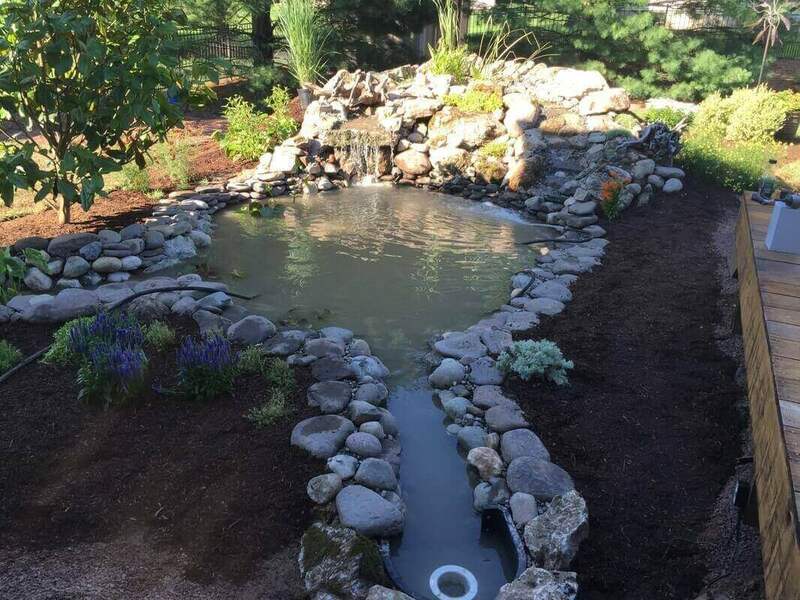 Includes a split waterfall with two unique spillways and a planted area in-between. 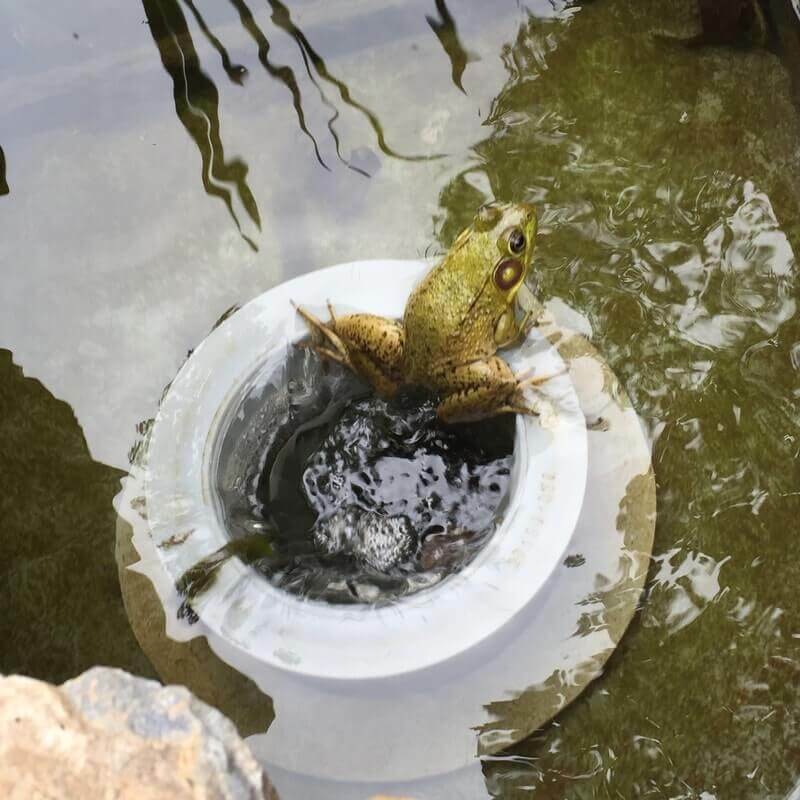 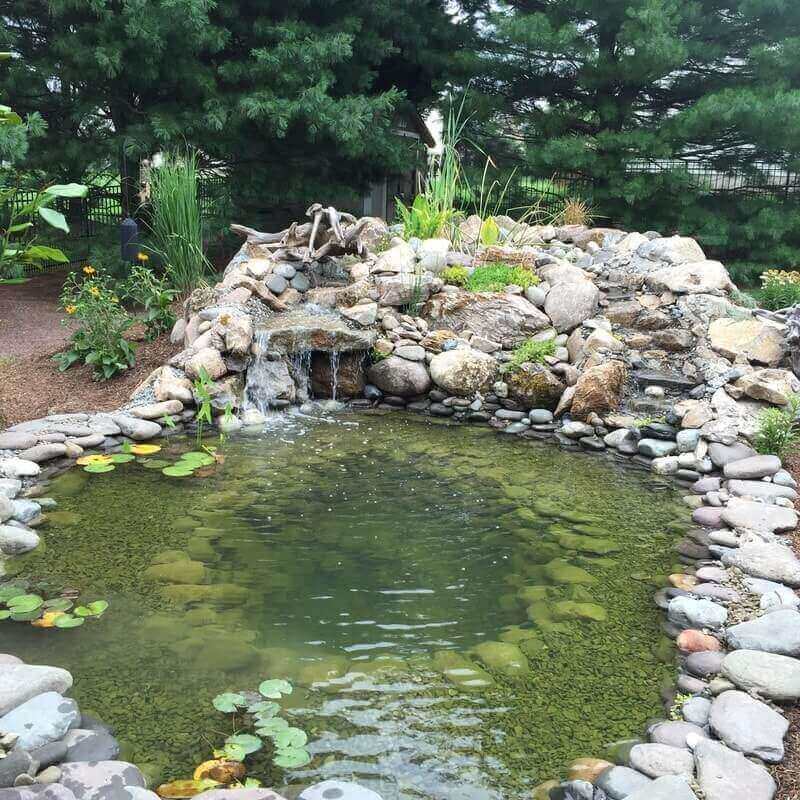 At the top of the waterfall is one of our signature bogs which handles the filtration for the pond. 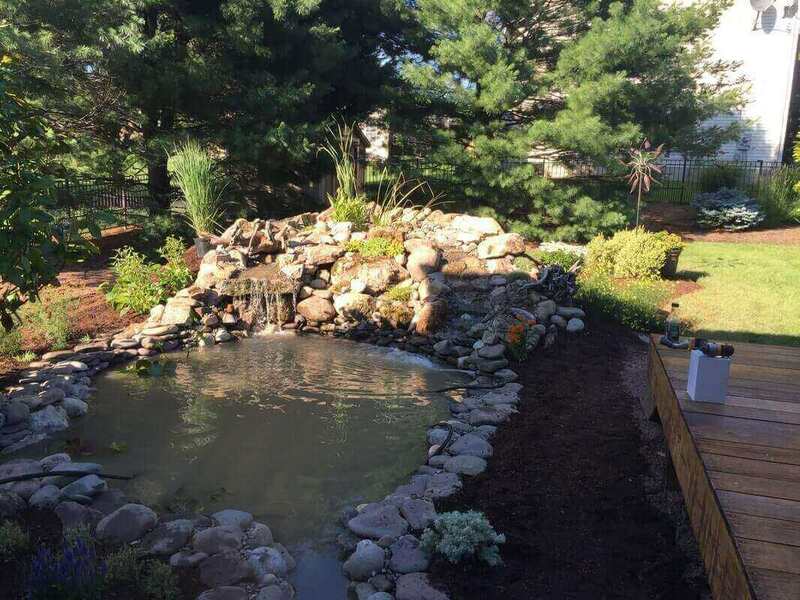 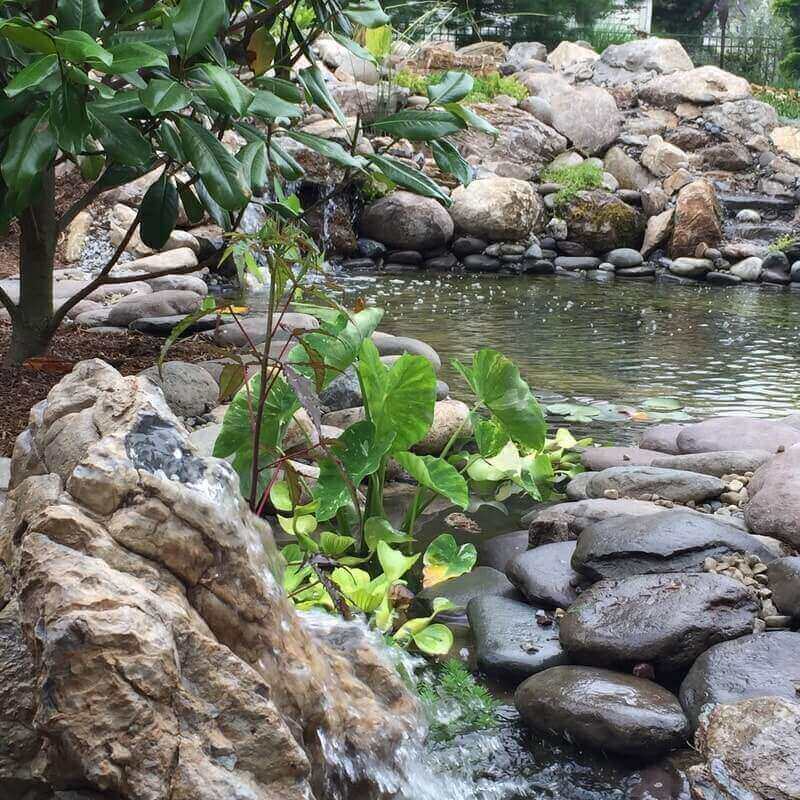 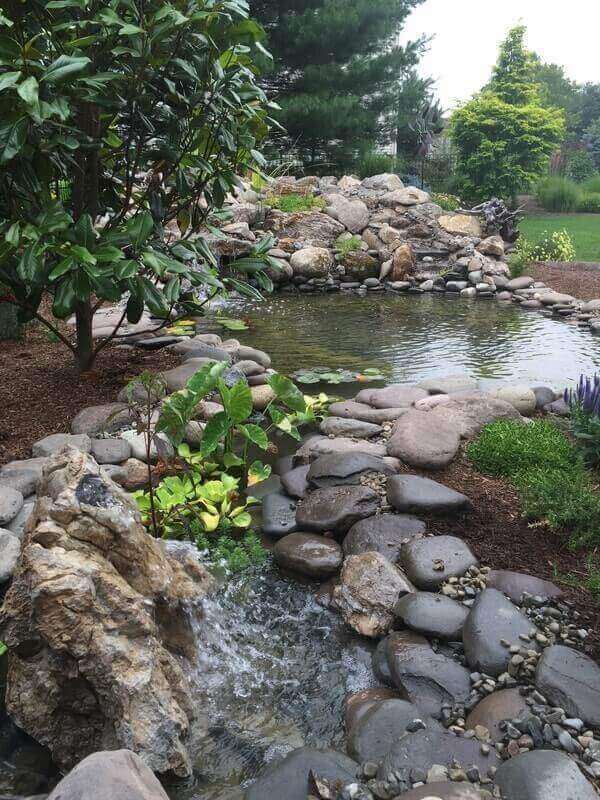 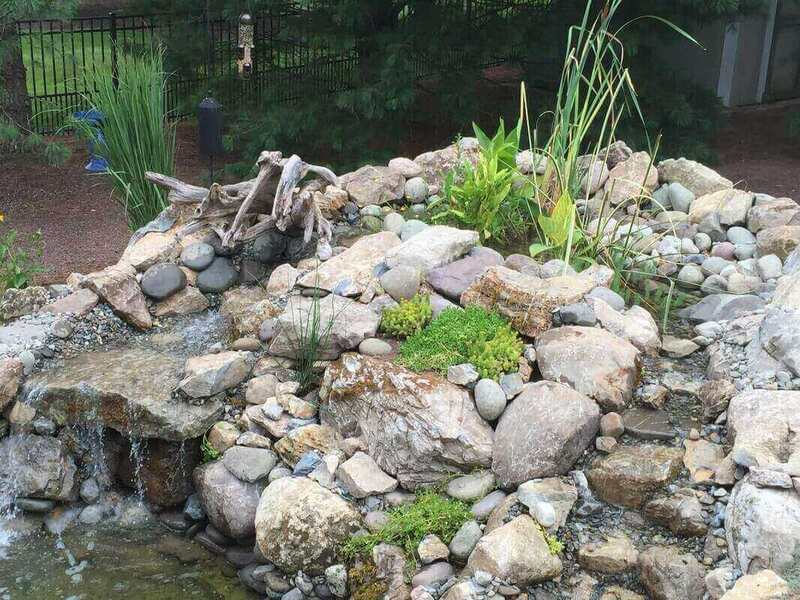 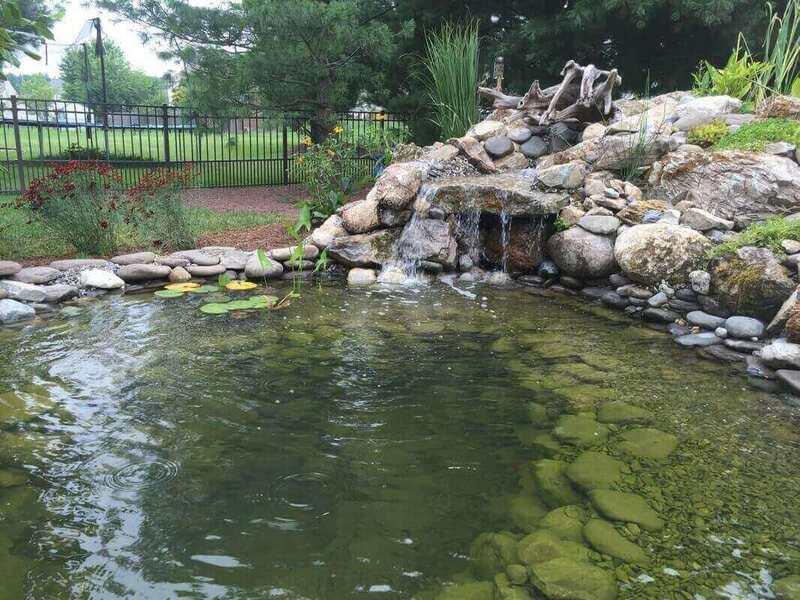 This pond also features two outcrops which house a custom drilled bubbling rock and a Helix skimmer.